Serving Maryland and Northern Virginia! Welcome to Cental Services! 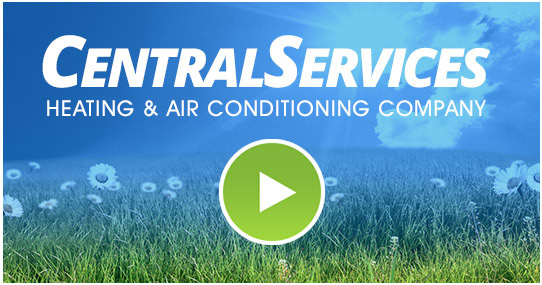 Whether you need to replace your existing HVAC equipment or add air conditioning to a home that has never had it before, CentralHome has a wide range of HVAC products to meet your needs and your budget. From air conditioners, furnaces, and heat pumps, to air quality solutions and thermostats, we can provide a range of solutions that are both affordable and will provide comfort to your family. We offer air conditioning and heating service repair, installation, and replacement. In addition, we offer electrical and plumbing services for your home and business. We are the go-to HVAC service in your area, so contact us for all of your needs. As part of the Carrier network, we have access to local inventory supplies and can receive it in house in as little as 24 hours on the rare occasion we do not have in-house ourselves. By replacing an older inefficient model, you can expect to increase your HVAC equipment efficiency up to 25 percent, reduce your energy consumption by 25-40 percent, and create significant savings on your monthly utility bill. For many of our customers, the reduced monthly utility cost will cover the cost of a new installation. Let us evaluate your current system and provide you with the most economical way to keep your home comfortable for your family. We look forward to working with you!